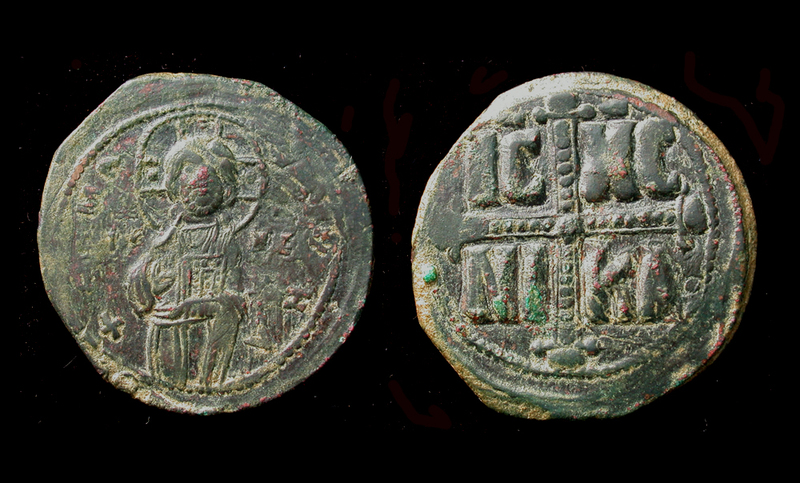 Obv/ EMMA-NOVHA around three-quarter length figure of Christ Antiphonetes facing, wearing nimbus cruciger, pallium and colobium, raising right hand in benediction and holding book of Gospels, IC-XC in fields. Rev/ IC-XC/NI-KA in the angles of large jeweled cross with pellet at each extremity. Con/ VF+ for the issue; glossy green/black patina and much better in hand. Belt Mount Duo, ca. 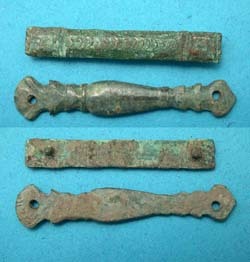 1st-3rd Cent.